The following is a guest post by Lynnae of Being Frugal.net, a blog about frugal living and getting out of debt. 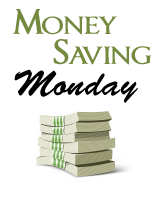 If you enjoy this post, consider subscribing to Being Frugal.net via RSS or email. Recently I cut up my credit cards. We’ll get to why in a minute. But first, when I announced I had cut up my cards, I got some interesting responses. While some people were really happy for me, others were skeptical. They asked what I would do in an emergency. What if I had a sick family member across the country? Those are tough questions. I’ll admit in an emergency, the easiest thing to do is whip out a credit card to charge a plane ticket. Ideally, you would have an emergency fund large enough to cover any emergency you might face. But if you don’t have a large emergency fund, what is the answer? As a Christian, I don’t believe the answer is credit cards. By relying on credit cards, we limit the power of God. How many times in scripture has God promised to provide for our needs? Time and time again. And what does God have to say about debt? If I truly believe that God loves me and has a plan for my life; if I truly believe that God will provide for my needs; and if I truly believe that God takes a dim view of my taking on a debt I can’t easily repay, should I really be relying on credit cards for an emergency? Doesn’t it make more sense to trust the Almighty, the one who created me and knew me from before I was born, to provide for my needs? Shouldn’t I trust God for knowing what is best for my life? Why limit what He can do by trusting in a little piece of plastic? And that, my friends, is why I cut up my credit cards. We have an emergency fund, but it’s certainly not big enough to take care of any emergency that comes our way. But I don’t want to be guilty of relying on credit cards to get me through a tough spot. I’d rather wait to see how God will work things out. Sometimes I think Christians have a disadvantage in the wealth of the United States. In a country that preaches self reliance, we forget Who is ultimately in charge. For a long time we sponsored a boy in Bali, Indonesia. He had no credit to rely on, he hardly had any money, and he lived every day in fear that he might be killed for his faith in Christ. And his faith was amazing. You see, he was forced to rely upon God for his very life day after day. He knew beyond a shadow of a doubt that he alone could not survive. And he saw God’s provision, both for his physical needs and for his safety, over and over again. What is the difference between me and the Indonesian boy we sponsored? Nothing except for the wealth and freedom of my country. If I want to worship, I go to church. If I want a new car, I can finance it. I don’t have any obvious deep desperate need that drives me to the feet of Jesus to beg for my very survival. And sometimes it takes such a desperate moment for us to recognize the true power of God. By giving up the credit card, I’m giving up a little comfort. I can’t fall back on the plastic in case of emergency. I’m forced to rely on God. And I can’t wait to see how He chooses to work in my life. In my life, this also applies to prayer. Whether praying or depending on God, I believe we do ourselves a great dis-service by not always waiting on God and his timing in our lives. The question of having a credit card as a backup to God’s plan is tough. As with praying, I may pray for something to happen in my or someone else’s life, then wonder whether I should sit and wait or take action in that direction. I tried to stop smoking in the past. I would pray wholeheartedly for God’s help, then go to the doctor for a quit smoking aid. Is this failing to put my trust in God? The same could be said about a credit card. Hmmmm. Good question you raise here. I joined a service called Credit Card Zappers that can help you take off interest charges or any other fee. They are great if you need help lowering your bill. @Gary – I’ve gotten into a lot of trouble by not waiting for God’s answer to my prayers in the past. It is a good point you bring up that we need to pray, but then also wait for His answer. The difference I see between using credit cards for emergencies and seeing the doctor for help to quit smoking is this. The Bible is pretty clear about debt and God’s provision. God says He will provide for our needs. And God doesn’t lie. That’s a good question, though. That’s for sharing your thought, Lynnae. I agree that sometimes we rely on credit card as a crutch. Psalm 37:21: I really love that point. We have a duty to pay it back as best as possible. I think your decision is quite wise. I use credit cards for almost everything, but I pay the balance every month and never use it to accumulate debt. The way you describe it, you have (in the past) used these cards to finance purchases, and I agree that that’s neither Biblical nor smart! Credit cards aren’t evil in themselves, but they’re marketed to people who will finance everyday purchases and that’s just a horrible idea. Oh, I forgot the biggest thing I agree with in your post — we should NEVER rely on credit cards or any other source of debt in an emergency! If somebody you love is sick on the other side of the country, and you cannot afford to visit them, adding to your debt will not help either one of you. If you can’t pay for food this week, it’s time to look at food shelves or help from your local churches but spending next week’s food money will just make your life worse. Even medical bills should not be put on a credit card — hospitals are very familiar with situations where people can’t pay and they’re very willing to work with you to build a payment plan whereas credit cards have higher interest rates and much worse customer service. Again, well done and God bless you in your decision! @Dreamiter – Yes, I have used credit cards to finance things in the past. Never again, though! :) I’m glad you can make credit cards work for you. I’m leery of using them at all, because I just got burned by a credit card moving the due date around on me. I’m slowly sorting it out, but it’s been a huge headache. And I feel the same ways about emergencies. Going into debt doesn’t help anyone. Thanks for weighing in! getting rid of em because god will help you out is even worse. i don’t believe in god (well not like you at least). but let’s assume he exists. there are millions of christians who are poor and a whole lot who don’t even have food on a day to day basis. many of them live their entire life under these conditions. while he ignores the prayers of those who really need it and let’s them suffer needlesly?? and then there are the extremely rich (or otherwise fortunate) non-believers. why does god allow that?? he doesn’t exist at all. @zwenkwiel – I appreciate your opinion, though obviously I disagree. God has promised to provide for my needs. I don’t worry about food, shelter, and clothing, though I realize that providing for my basic needs might mean a tiny apartment, rice every night, and hand me downs from other people. God never promised to provide everything I want. I’ve heard it said before that God is more interested in our faith than our comfort. I believe that’s true. I know in my own life, my faith in God grows every time I go through something painful. In my own life, I believe God allows me to suffer, because it brings me closer to Him. Other people may not be so hardheaded as I am, and perhaps they don’t suffer as much, because they don’t test God as much as I have. What it comes down to is 1) we live in an imperfect world, and suffering is going to happen and 2) God is going to do for each person what it takes to draw them closer to Himself. And that will look different for each individual. And I realize that since I’m posting on a different site today, you all don’t know my background. I don’t write this from a point of view of someone who has always had everything. I grew up in a lower-class family, when my first child was born my husband and I lived on $19,000 one year, and my husband just came through a period of unemployment. So I’m not being trite when I say I trust God. I have had to REALLY trust Him. I know that probably doesn’t change your opinion of whether God exists, but that’s where I’m coming from. zwenkwiel – There is a much bigger picture going on than we can see through our human eyes. God puts us all in different situations, for different reasons. We all have a place in this world. Now, I do believe that God, to some level, helps those that help themselves as well. It’s much more complex than you make it. You also have to understand that this is a sinful world full of sinful things and that causes much of what you describe. There is a reason for this. If you are interested, there is a really good book called Letters From a Skeptic I would recommend you read. I think it would be enlightening for you and while maybe not changing your viewpoint, it will give you some things to consider. God does not ignore prayers, He just doesn’t always answer them in the way you expect. Also, it’s not about logic…it’s about faith. Even if there is a god, he or she would want you to help yourself. Putting all your trust into god isn’t the solution. @Justin – I completely agree that a person should use the opportunities they have to help themselves. For instance, when my husband lost his job, we didn’t just sit around waiting for money to fall out of the sky. He took two part time jobs, so we could make ends meet. I don’t think taking a job is not trusting God. However, going into debt is not helping yourself. We could have sat around and decided that a part time job was “below” my husband and charged our expenses on a credit card. But I wouldn’t consider that helping ourselves. We’d be in a world of hurt right now if we had done that. I think that by trusting God, you have to look for the opportunities he gives you. You may not always like those opportunities, but He will provide in some way. But I don’t think God would contradict Himself and provide in a way that goes against what He says in the Bible. Cutting up your credit cards is a decent idea. Saving one for convience (buying something on-line) and paying it off immediately is a better idea. A really bad idea is to blindly hope something will be placed in your lap. I’m not suggesting you use a credit card to go in debt. For example, you have a $2,000 emergency fund. A close relative/friend across the country is in a car accident and may not make it. Wouldn’t it be easier and quicker to buy the $300 ticket with the credit card and then pay it off in 3-4 weeks when the bill is due? You aren’t in debt, you have the money, and you just made your life easier and got to your destination quicker and with less hassle. If god works through you or anyone, then wouldn’t your actions be gods work? So, why is self-reliance wrong? This post doesn’t make a lot of sense. How is using a card card easier and quicker than using a debit card? If you have the money, why risk the chance of not being able to pay it off in 3-4 weeks when you can pay it off now? Your kidding right? So if someone kills someone, that is God’s work? God does indeed work through you, but He does not control everything you do. We are given the choice to do what we will. God works through us through our spirit and conscience. We can choose to ignore that. A debit card functions in the same way as a credit card, but you are liable for any money charged to your account if it (debit card) is stolen. It does not fall under the $50 limit liability provided by law for credit cards. Thus, every time you use your debit card you risk losing whatever is in your bank account. You are only liable up to $50 on your credit card and most don’t make you pay that. Using a credit card isn’t easier it is smarter than using a debit card. You said, “Why risk the chance of not being able to pay it off in 3-4 weeks when you can pay it off now?” – Two issues with this: 1) you can pay your credit card of instantly by going on-line and paying it from your account, 2) if you can’t save the money you already have labeled as savings for 3-4 weeks, you have a much larger problem than $300. Concerning god’s work and to be clearer: The post suggests, though not in a direct way, that self-reliance is inappropriate. All I’m saying is that being self-reliant is a virtue, not a negative. Sitting on your couch and saying god will provide is foolish. Saving up an emergency fund and using your credit card appropriately is self-reliant and worth your time. @H-Roarke – Smarter is relevant and has to be taken in perspective. Myself, I have struggled with using credit cards in the past and not paying off the debit within the 30 day grace period. I am still paying on debt that is probably > 5 years old to be honest. So using credit cards for me and for people that are like me isn’t smarter. While I think I am disciplined to use them again, I am just not comfortable with it and am willing to risk the trade-off of the protections…which to be honest are seldom needed anyway. Point 1) True – but how many people really do this? 2) I completely agree with you. The scary thing is how many people really have this problem. Average debt in America per person is $8,000 – $9,000 and rising. Regarding self-reliance, Lynnae addressed a similar concern raised in an earlier comment. I’m sure she’ll want to weigh in on this further. Remember, what is right and smart for some isn’t always right and smart for others. Smart is a very gray thing. Smarter is what works best for me. Sounds like you are in a different situation than myself, and thus Smarter is different for you. A couple of clarifications — HRoarke, Visa and Mastercard both cap liability for fraudulent transactions at $50 for all signed transactions (which include all online transactions). 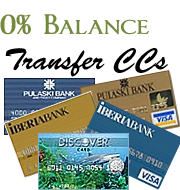 Unless you write your pin-number on the card (DON’T) a Visa or Mastercard debit card has the same liability limit. Of course, since the money comes straight out of your bank account, a debit card can leave you with more problems before the issue is resolved. They’ve done this since 1997, though a lot of financial gurus out there still talk about debit cards as if there is no protection. Granted, the $50 liability cap isn’t mandated by law as it is with credit cards, but in the vast majority of fraudulent activity, the cap is the same. Deamiter is correct in his statement, but he proves my point in his last sentence, “$50 liability cap isnÂ’t mandated by law as it is with credit cards.” Yes, the criminal needs your pin, but there are so many ways to get it, that it’s not guranteed they can’t. I will take the $50 downside risk, as opposed to the much bigger downside risk of a debit card attached to my bank account. It is a choice, but if I gave you two stocks and told you all you could lose on one is $50 and you could lose everything on the other…which do you choose? I actually had a credit card stolen before and didn’t realize it until 2 days later. By then the card was half-way across the country and had $1,200 charged on it. I called the credit card company and they removed the charges almost instantly. Didn’t even have to pay the $50 liability. No way a bank does that with your account. You might get it back eventually, but it will take a significant period of time and a lot of work on your part. I used to audit banks and based on my experience, they will be hesitant as they will initially think you are running your own scam. They will also demand every document you have, as proof you aren’t scamming them. Oh, and if you (meaning anyone) do write your pin number on your card, you deserve to have your money stolen. @H_Roarke – You’re wrong. I had my debit card stolen in October, than ran up about $800.00 in charges before I realized it. Bank refunded my money by the next business day. The only thing I had to do was sign an affidavit, and that wasn’t required prior to getting my money back. I had to pay nothing. Not sure how long it’s been since you audited, but I think things may have changed since then. I can tell you first hand it didn’t take that long. I bank with Wachovia and they were nothing but helpful, understanding, and did every thing they could to return me my money as soon as they could. Deamiter – An average is an average, regardless of whether some have none and other have a lot. It’s not to imply that everyone has $9,000 in debt, but it is an average. I do agree though, it is far too high. These surveys are always very iffy too, as the one’s that quote the lower averages and sponsored by card companies, and the others that skew the other way are sponsored by anti-credit organizations. $8,000 – $9,000 average is a common stat though across many different surveys. Thanks to both of you for your thorough and thoughtful comments. It really adds value to my article and hopefully people who find this site will get some great value out it! @glblguy: Your bank may have, it didn’t have to. Some will, some won’t. CC companies HAVE TO. As for averages, our household has over 40K in CC debt, all at 0% and all the money is sitting in a HY savings account. How do you like them averages? @Justin – I know. We’ve had this conversation before. Was just disagreeing with his comment that banks will take a long time. As for your averages, I think you’re playing with fire. BUT respect your decision. Playing with fire? There’s less risk than equities, the ability to pay it off today if something went wrong, and the monthly commitment is automatic. glblguy: It may have worked in your case, and it may work that way most of the time (I didn’t meant to imply it would always be difficult, just that it could…and it could be very difficult). However, the key word in those sentences is “may.” I will take the zero risk credit card over the low risk debit card. Plus, the credit card company has a rewards program, and since I don’t pay interest or an annual fee, I actually get a little money/value back. justin: Nice move with the finances. I have thought about doing that myself, though I’m not sure how I could get that amount from the credit card companies.